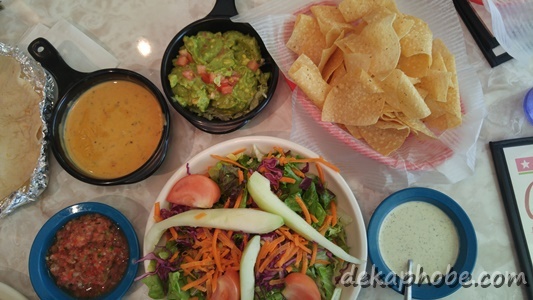 I really really love the Chili Con Queso, a medley of melted cheese with green chile and ranchero sauce and love the Dinner Salad, a simple mix of cucumber, tomatoes and mixed greens with Chuy's Creamy Jalapeño Sauce. 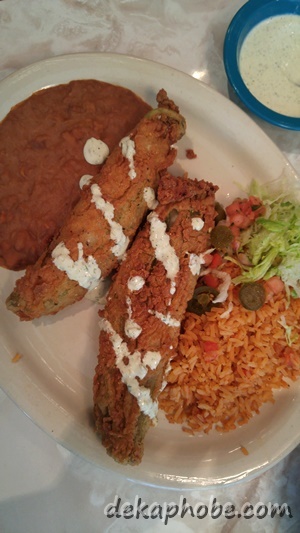 For mains, the boyfie ordered the Cheese Chile Rellenos ($10.79 or Php 507.13) while I had their famous enchiladas, Chicka-Chicka Boom-Boom ($11.89 or Php 558.83). 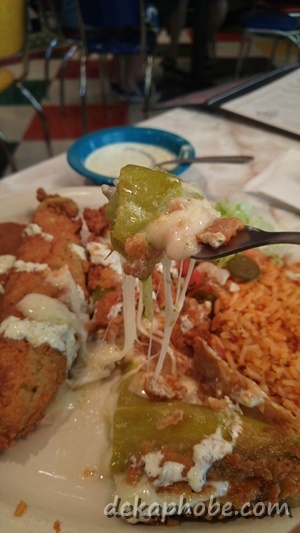 The Chile Rellenos are Anaheim peppers battered and fried and filled with cheese and served with rice and beans. I'm not much of a chili fan, but the boyfie is, and he loves this dish a lot. 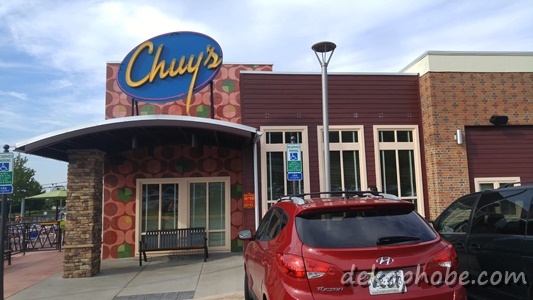 Overall, we had an excellent meal at Chuy's. Everything we had was beyond amazing, and the service was impressive (our server packed us their delicious chips with creamy jalapeño sauce and salsa, which I devoured for midnight snacks). 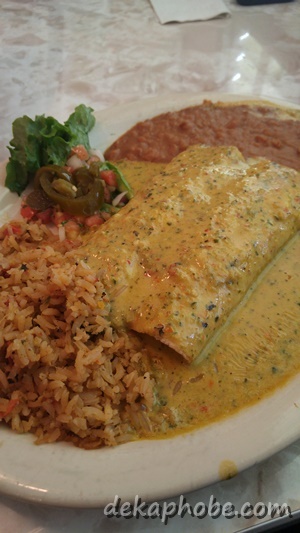 Make sure you visit Chuy's with an empty stomach as their servings are humongous!